I saw it! I finally saw it! It’s been a while since I’ve enjoyed the simple things in downtown, Toronto. I grew up in Jamestown, just by Wellesley and Parliament, and later moved to Scarborough. As I’ve previously mentioned, I attend church on Sundays, which happens to be in the Bathurst and St. Clair West area, so this does get me back in the city. Surprise! 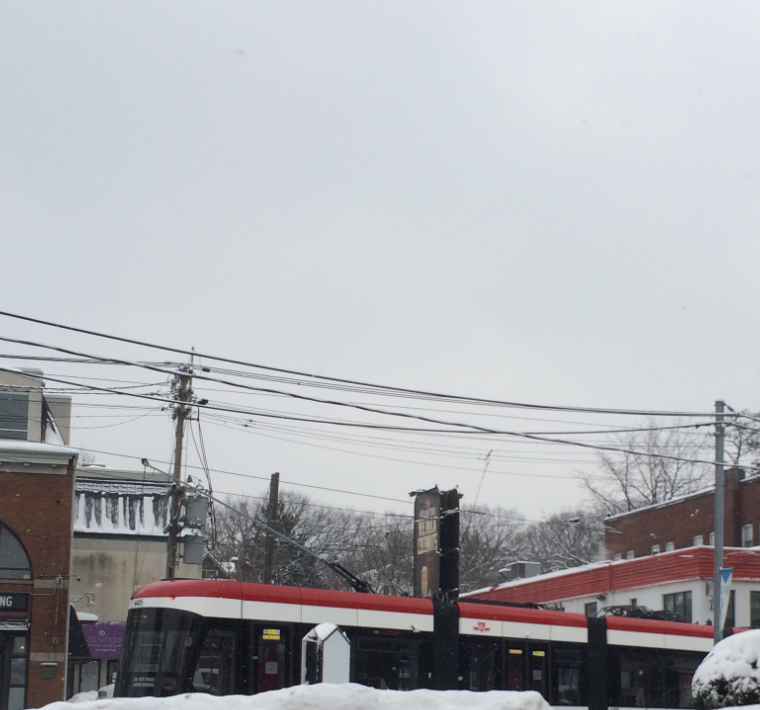 I saw the new Toronto streetcar for the first time. Why was I jumping up and down in the church parking lot? Because the new streetcar looks awesome! How amazing would it be if that excitement happened more often. Nuit Blanche, the all-night contemporary arts festival that happens once a year, tries to capture that same excitement of seeing something unexpected in our public spaces. So my challenge to the City of Toronto and all artists alike is let’s make the excitement happen more often! Thanks @theposhdish! I’ve lived in Toronto all my life, and there’s always something new to explore. I think it’s just about being open to embracing the unexpected, or even the already known re-explored. that can definitely make the city that much more enjoyable. Maybe a mix tape out of traffic sounds? Too much? Really neat photo! I couldn’t stop looking at it. Thanks Sheena! Felt the same way about your AGO picks (http://shevasana.ca/). Just loved how the AGO was closed off and the yoga class was the only thing happening when you guys were there. Making it work in a new city. Exploring life, nature, art, literature and creativity…one coffee cup at a time.